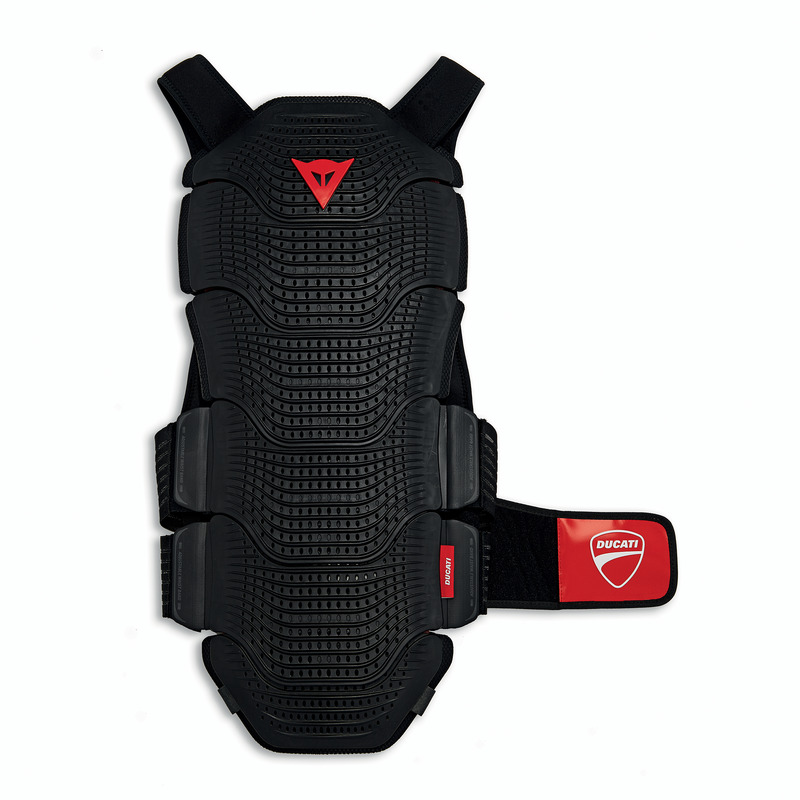 The Company 2 back protector represents maximum Dainese technological evolution in terms of back protection. This CE certified (second category) piece ensures resistance and elasticity of movement thanks to its flexible armor composed of overlapping plates, laterally connected by silicon joints. The ergonomic, multi-layer composition offers greater flexibility during both stretching and flexing, ensuring maximum mobility along all axes. Suitable for use under complete technical clothing such as a leather suit.